« No Blog Entries Over The Weekend! I’ve known about this since December 2006, but since the cat is out of the proverbial bag, I can finally blog about it. At this time Oracle believes that these three specialized storage technologies are well understood by the customers, are very mature, and the Oracle technology requirements are well know. 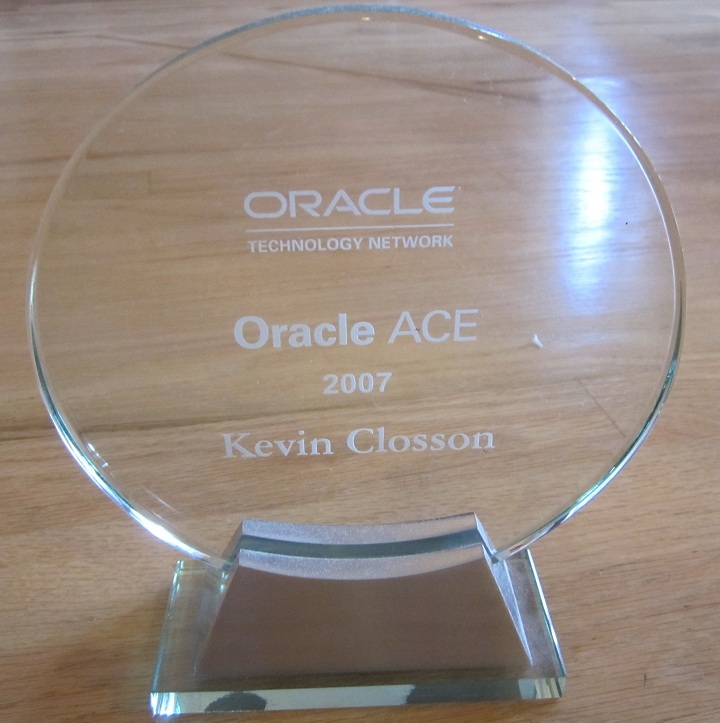 As of January, 2007, Oracle will no longer validate these products. We thank our partners for their contributions to the OSCP. It will be good for Oracle shops to have even more options to choose from when selecting a NAS-provider as an Oracle over NFS platform. I look forward to other players to emerge on the scene. This is not just Network Appliance’s party by any means. Although I don’t have first-hand experience, I’ve been told that the BlueArc Titan product is a very formidable platform for Oracle over NFS—but it should come as no surprise that I am opposed to vendor lock-in. That seems to be the conclusion people draw when Oracle over NFS comes up. That is not the case, so your massive investment in SAN infrastructure was not a poor choice. It was the best thing going at the time. If you have a formidable SAN, you would naturally use a SAN-gateway to preserve your SAN investment while reducing the direct SAN connectivity headaches. In this model deploying another commodity server is as simple as plugging in Cat 5 cabling, and mounting an exported NFS filesystem from the SAN gateway. No raw partitions to fiddle with on the commodity server, no LUNs to carve out on the SAN and most importantly, no FCP connectivity overhead. All the while, the data is stored in the SAN so your existing backup strategy applies. This model works for Linux, Solaris, HPUX, AIX. Oracle over NFS—Who Needs It Anyway? The commodity computing paradigm is so drastically different than the central server approach we grew to know in the 1990s. You know, one or two huge servers connected to DAS or a SAN. It is very simple to run that little orange cabling from a single cabinet to a couple of switches. These days people throw around terms like grid without ever actually drawing a storage connectivity schematic. Oracle’s concept of a grid is, of course, a huge Real Application Clusters database spread out over a large number of commodity servers. Have you ever tried to build one with a Fibre Channel SAN? I’m not talking about those cases where you meet someone at an Oracle User Group that refers to his 3 clustered Linux servers running RAC as a grid. Oh how I hate that! I’m talking about connecting, say, 50,100 or 250 servers all running Oracle—some RAC, but mostly not—to a SAN. I’m talking about commodity computing in the Enterprise—but the model I’m discussing is so compelling it should warrant consideration from even the guy with the 3-node “grid”. I’m talking, again, about Oracle over NFS—the simplest connectivity and storage provisioning model available for Oracle in the commodity computing paradigm. Providing redundant storage paths for large numbers of commodity servers with Fibre Channel is too complex and too expensive. Many IT shops are spending more than the cost of each server to provide redundant SAN storage paths since each server needs 2 Host Bus Adaptors (or a dual port HBA) and 2 ports in large Director-class switches (at approximately USD $4,000 per). These same servers are also fitted with Gigabit Ethernet. How many connectivity models do you want to deal with? Settle on NFS for Oracle and stick with bonded Gigabit Ethernet as the connectivity model—very simple! With the decommissioning of the OSCP, Oracle is making the clear statement that Oracle over NFS is no longer an edge-case deployment model. I’d recommend giving it some thought. That should be the good news indeed. this stuff just won’t die, will it. Thanks for stopping by Jeff.